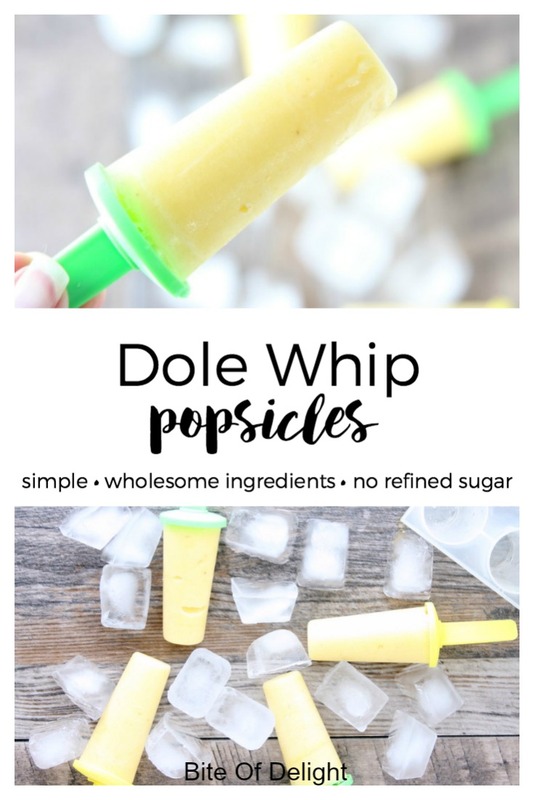 Disney Dole Whips are a simple and delicious treat, and this recipe for Dole Whip Pops has no refined sugar, so you can feel good about these wholesome popsicles! This post contains affiliate links. Ready our disclosure policy here. Add all ingredients to a high-powered blender and process until smooth. Scrape sides as necessary. 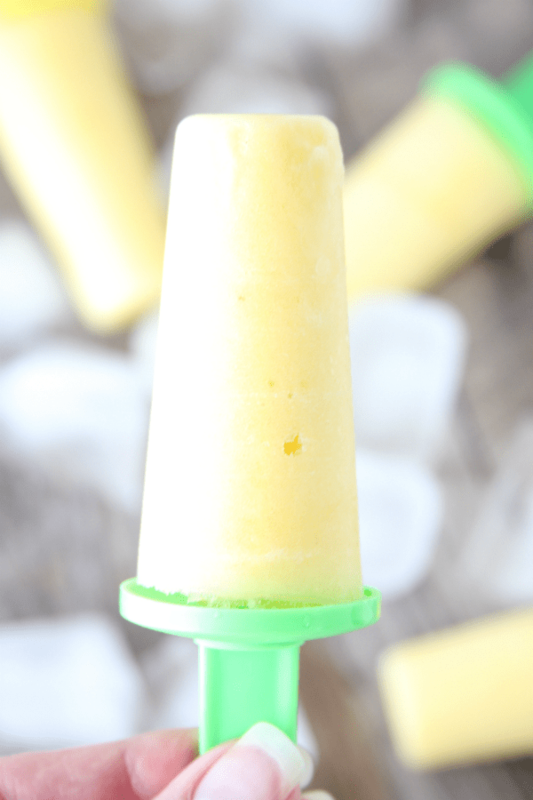 Pour the Dole Whip slush into popsicles molds and freeze 4-6 hours, or until hardened. 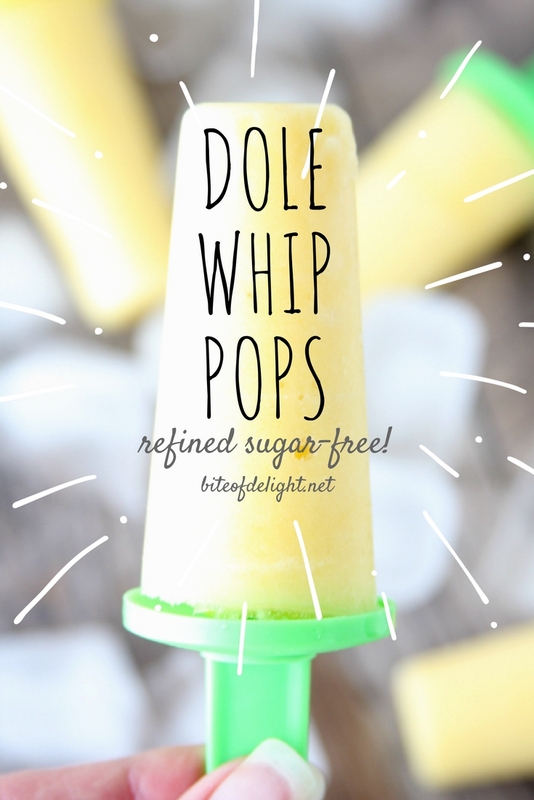 This can be enjoyed as a traditional soft serve Dole Whip, just pour into serving bowls or cups. 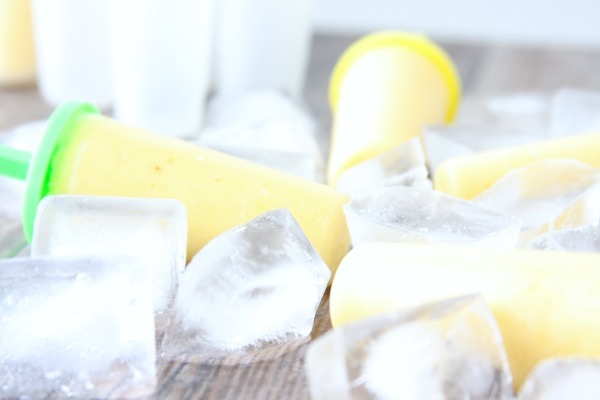 If it’s too soft, place in the freezer until desired consistency is reached. 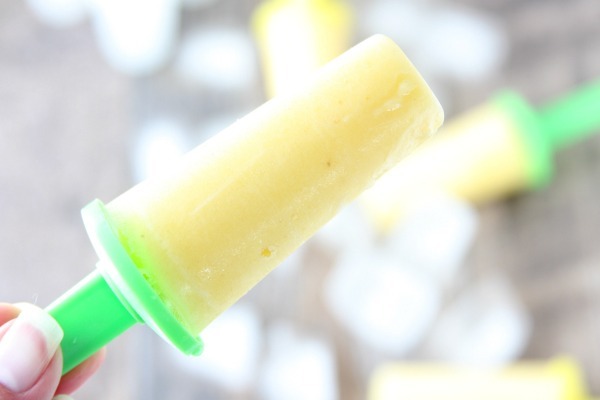 For a more intense pineapple flavor, pineapple juice can be added to taste. No liquid stevia? Use 2-3 tablespoons of powdered sugar. This recipe was tested with coconut milk beverage, not canned coconut milk. Any coconut milk or cream should work. Adding the banana makes it creamy and delicious! 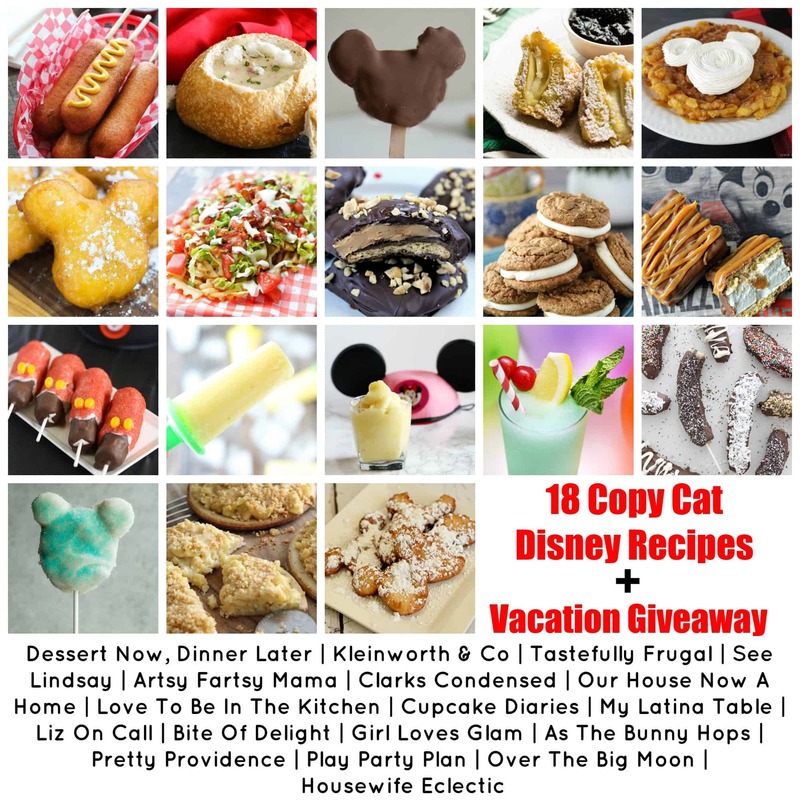 Now that you’ve seen how I make my favorite Disneyland treat at home, check out how a few of my blog buddies make their favorites too! For a PRINTABLE recipe, click NEXT! These sound great!! I always have to get a churro when I go to Disneyland. So bad for you but sooo good! I love the beignets and dole whip! Love you Becky, your so creative! and do I even have to say how much I love Disneyland! Yum!! Perfect for the upcoming summer!